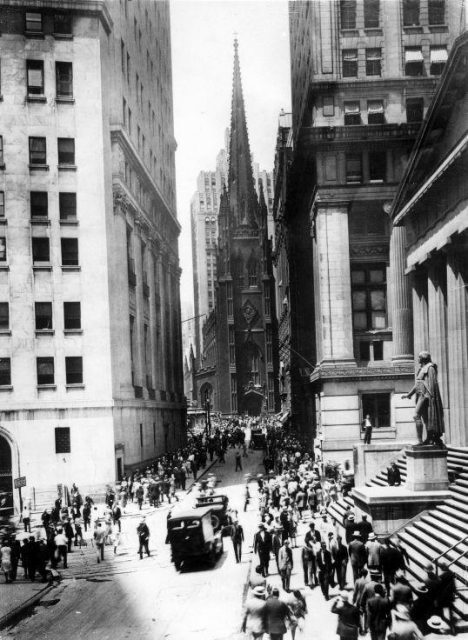 The Wall Street Putsch: Did Fascist Bankers try to Overthrow Franklin Roosevelt? Butler, a Marine Corps veteran and two-time Medal of Honor recipient, was the most decorated veteran in United States history, and had no obvious reason to lie about the plot. President Roosevelt was scarcely exaggerating when he claimed that organized money’s hatred for him was unanimous. 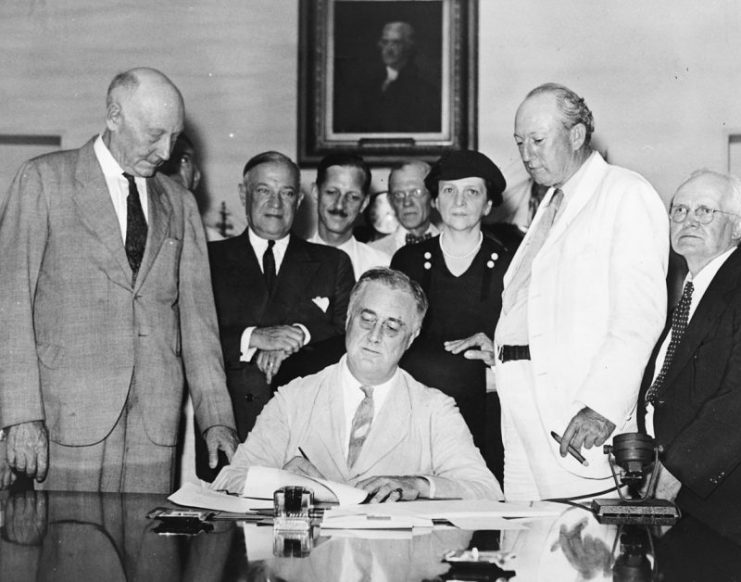 Although his supporters credited him with supporting the poor and working class over the rich and powerful, his New Deal policies were often seen as unfriendly to businesses and banks. 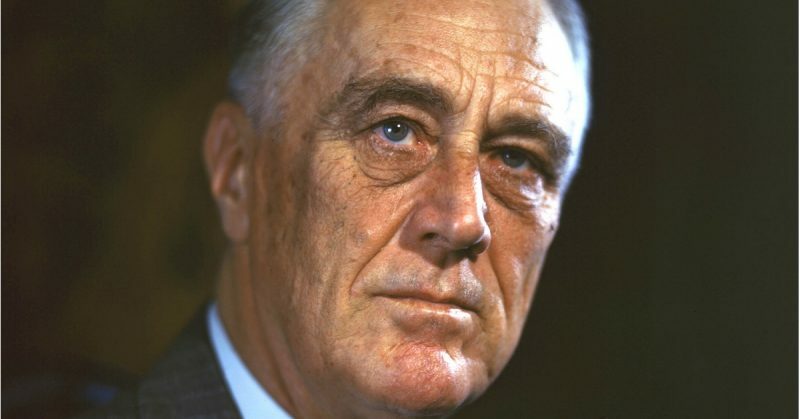 Roosevelt made many powerful enemies in almost every sector of the economy due to his regulations, social programs, and efforts to rein in capitalism. 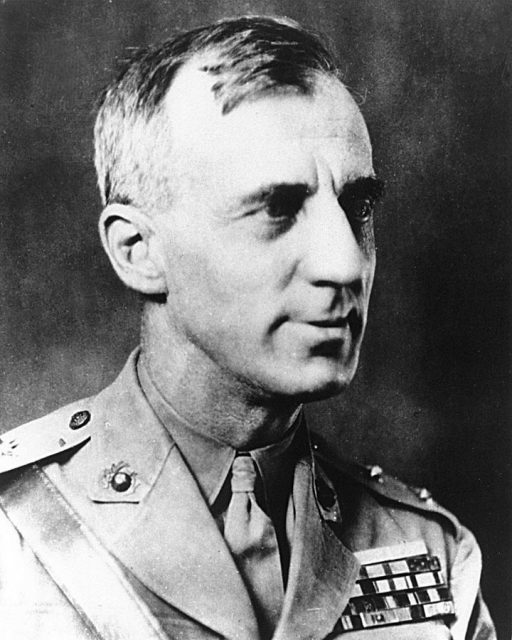 Retired Major General Smedley Butler shocked the American public when he testified before Congress that businesses planned to oppose Roosevelt with far more than just political force. Butler alleged that he had been approached by a cabal of businessmen and bankers who wanted him to lead a coup to overthrow the government of the United States and replace it with a fascist dictatorship. This testimony attracted skepticism at the time, but historians and journalists began to take it more seriously when records of the hearing were made public in the 21st century. Was this plot real, and if so, how close did it get to fruition? Butler described a remarkable plot when he testified before the Congressional Special Committee on Un-American Activities. Under oath, Butler claimed that he was approached by Gerald C. MacGuire, a Wall Street bond salesman, who gradually steered him towards leading an army of 500,000 veterans to march on Washington D.C.
MacGuire’s proposal was originally more modest—he asked Butler to run for National Commander of the American Legion, a prominent veterans’ organization. However, Butler became suspicious when the conversation took a turn towards getting the American Legion to pass a resolution in favor of restoring the Gold Standard. Roosevelt’s opposition to the Gold Standard was one major reason businesses opposed him. MacGuire apparently argued that the gold standard was a veterans’ issue because bonuses for World War I veterans would be “worthless paper” if the currency was not backed by gold. 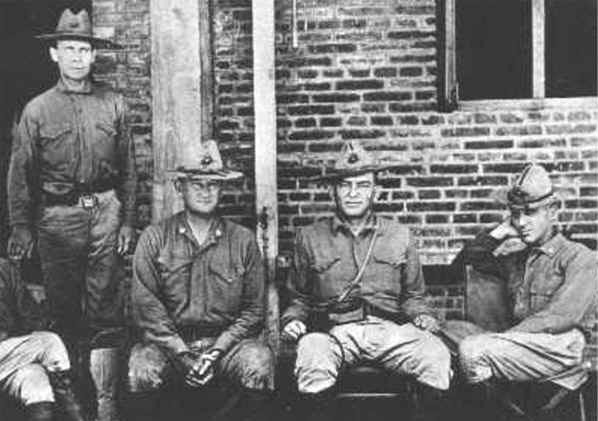 Butler had several more meetings with MacGuire, although he rebuffed MacGuire’s plan, saying that the American Legion was only a strikebreaking organization. Nonetheless, on August 22nd, 1934, Butler said that MacGuire directly proposed overthrowing the United States government. MacGuire asked Butler to lead a new veterans’ organization, based on similar fascist organizations in France and Germany, in a march on Washington. Then Butler would take true power, hopefully without violence, while Roosevelt was retained as a figurehead. In September MacGuire allegedly told Butler’s former personal secretary Paul French that the conspirators would meet at a Veterans of Foreign Wars convention to plan their next steps. However, Butler was ready to go to Congress and expose the plot. 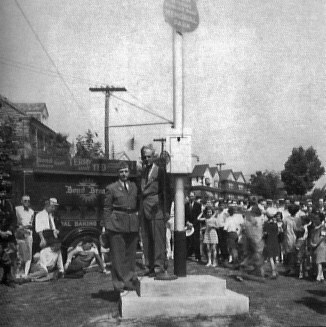 Smedley Butler at one of his many speaking engagements after his retirement in the 1930s. Although a Business Coup (or Wall Street Putsch as it was sometimes called) seemed like an absurd fantasy to most of the American public at the time, General Butler had the reputation to lend credibility to his accusations. Butler, a Marine Corps veteran and two-time Medal of Honor recipient, was the most decorated veteran in United States history, and had no obvious reason to lie about the plot. In addition, if his story is to be believed, Butler stood to gain nearly absolute power over the United States if the plot had succeeded. In addition to MacGuire, Butler mentioned the commander of the Massachusetts American Legion, Bill Doyle, as a co-conspirator, although Doyle allegedly only took part in the first few meetings. Butler also alleged that Robert Sterling Clark, who served under Butler during the Boxer Rebellion in China, was involved. Much like the other alleged conspirators, Clark was from a rich family, and was even called the “Millionaire Lieutenant” due to being the heir to his family’s massive business fortune. 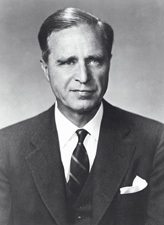 The list of alleged conspirators was long, including: former presidential candidate John W. Davis, J.P. Morgan partner Thomas W. Lamont, the rich DuPont family, Prescott Bush (father and grandfather to the later presidents), and several military leaders. Does the Testimony Add Up? The Committee did not take the accusations seriously at first, and neither did the public. The New York Times derided the accusations as “a gigantic hoax.” However, things took a turn when French testified that he spoke with MacGuire, who allegedly said that he felt a fascist state was the only way to save America. When MacGuire came in to testify, the Committee found his remarks confused and contradictory. The committee began to take the accusations more seriously as a result. The Committee’s final report remained secret until the 21st century. The report found that Butler’s remarks were corroborated by other sources, and that such a plot had been discussed. However, they also believed that the plot was unrealistic, and far from actually taking place. Nobody was prosecuted. If the conspirators really did want to overthrow Roosevelt, they were extremely sloppy in how they went about doing so. 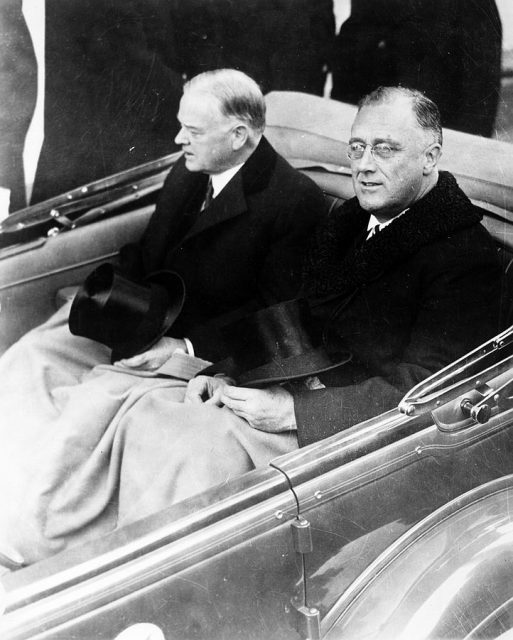 Butler supported Roosevelt in 1932, and staunchly opposed capitalism. However, it is possible that the conspirators did not know about Butler’s anti-capitalism at the time, as Butler had previously been more friendly to Wall Street. Several years after the plot, Butler voted for the Socialist Party candidate in the 1936 presidential election. Choosing Butler to lead an attempted fascist/corporatist coup was clearly a huge blunder. It seems most likely that the Business Coup plot was a real plan, but that it was carried out by incompetent schemers and never had a real shot at success. The plot allegedly involved a significant number of Wall Street, banking, business, and political leaders, but it is hard to confirm the involvement of most of them. The plotters committed a fatal blunder when they selected General Butler to lead the charge, and it was their undoing. 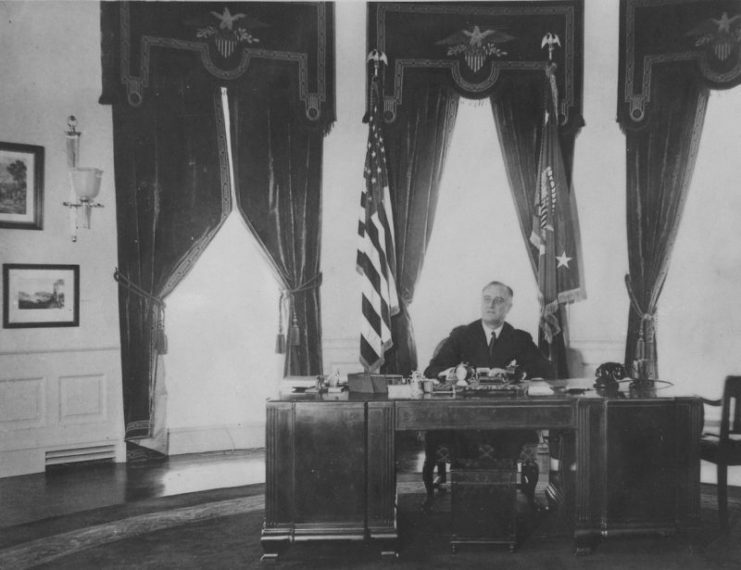 Although President Roosevelt was never realistically threatened by the plot, one cannot help but wonder what might have happened if the conspirators had found a more amicable military leader. 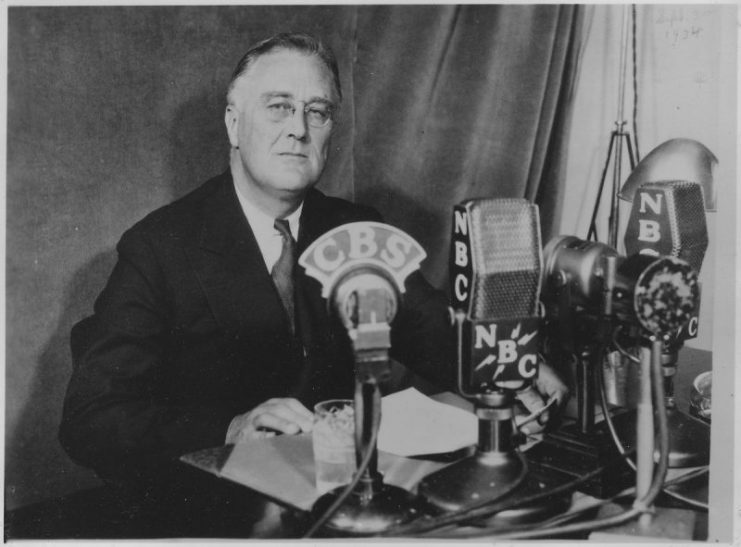 Franklin Roosevelt was easily reelected in 1936 in one of the greatest landslides in American electoral history. He was re-elected twice more, becoming the longest serving president in American history. 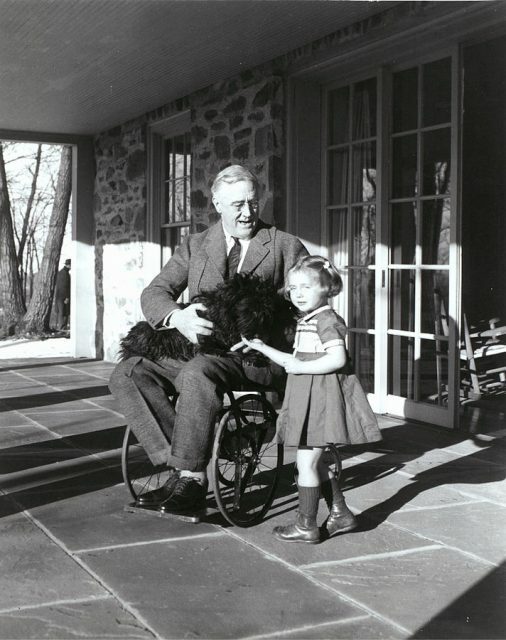 His New Deal policies were wildly popular, and he remains one of the most well-known presidents in American history.